Gerardo and Rosa Cicchiello met in Adelaide after their respective families had immigrated from Italy in the 1960’s. They soon discovered that both families were dairy farmers and originated from the Benevento region of Italy. They married, started a family and decided to start a business. Gerardo and Rosa started their business life as retailers, opening a humble continental deli in a suburb of Adelaide but soon converted it into a cheesemaking business with Rosa making Ricotta from the recipe she grew up with on the farm back in Italy. 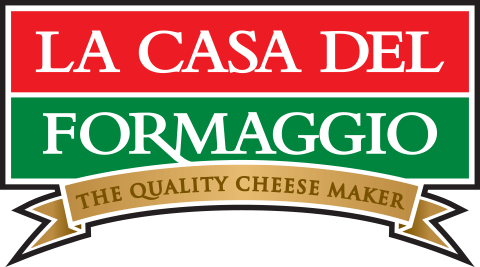 Word among the Italian community soon spread and La Casa Del Formaggio was created in 1988 when Gerardo and Rosa moved into the cheese making business full time. Their children Claude and Marisa joined the family business in the early 90’s and with Claude assuming the role of Managing Director in 2000. Today, La Casa Del Formaggio employs over 130 people and the business has become synonymous with premium quality fresh cheese across Australia. Its products are sold on the shelves of thousands of supermarkets and specialty food stores throughout Australia. La Casa Del Formaggio introduced Bocconcini to Australian Supermarkets in the late 1990’s, making tubs of soft white balls of fresh Italian cheese commonplace in the fridges of Australian families. The range now includes Bocconcini, Fresh Mozzarella, Ricotta, Mozzarella, Pecorino Style, Haloumi & Burrata. Jerry is a professional company director. His directorships include: Chairman, Berger Paints Bangladesh; Berger Paints India (Advisory Council); Chairman, Bolix SA [Poland); Advisory Boards at the University of Adelaide (Business School, Agribusiness, and Wine Business Advisory Boards) and is an Advisory Board Member at Minda Inc.
Claude joined the family business in 1989, learning the art of fresh cheesemaking from his father. Since his appointment to the role of Managing Director in 2000, Claude has built La Casa into one of Australia’s largest fresh cheese manufacturers. The business now employs over 120 team members. The brand is ranged in over 2,000 outlets around the country and is the category market leader. Claude attended Harvard Business School in Boston USA to undertake the OPM Business Management Program. Claude has held a number of positions over the years on the boards of various Industry groups. Sean is a Chartered Accountant with 10 years’ experience in large accounting firms and listed organizations. Experienced in strategic planning, budgeting, forecasting, statutory reporting, project management, process improvement, systems planning and capital management. Executive roles include Senior Planner Finance & Analysis for Thomas Foods and Chief Financial Officer for Water Utilities Australia. Aphrodite was appointed General Manager Human Resources in August 2018. Her career spans 25 years in various operational, strategic and leadership human resource roles. Aphrodite’s experienced has been gained in the medical research, manufacturing, healthcare, distribution and consultancy industries within the private and not-for-profit sectors. Aphrodite is tertiary qualified in HR / IR management and psychology and has completed formal studies in WHS and Injury management. Wayne’s experience spans 30 years in Sales, Marketing, and General Management. For the past 18 years he has worked as a strategic marketing consultant working with some of Australia’s leading SME’s. He has worked with the La Casa Del Formaggio business for 10 years in a consulting capacity, in areas including strategic planning, finance, sales, marketing, leadership and category analysis. In our home, the doors are always open. Because this is our passion. We create every piece of cheese as if it were to be enjoyed by our own family. We value this trust placed in us. Our family introduced Bocconcini to Australian supermarkets, making them commonplace in the meals Australian families enjoy. We are proud to share our family’s cheese with your loved ones and we believe our team, suppliers and customers are part of our extended family. La Casa Del Formaggio sources fresh milk from local family owned and run farms. Using hands-on cheese-making techniques, our cheesemakers transform the premium quality milk into Australia’s leading Italian style fresh cheese. At our very core, you will find passion. We are passionate about what we do and it’s contagious throughout our entire team. We care deeply. That’s why we say “This is our passion.” Share it with us. To create an environment that embodies our family values and a culture that is inclusive of our team, customers and suppliers, we follow these guiding principles.